This morning I saw a cartoon where Captain Hook was sitting in some water. He asked, “What is underneath me?” Surprise, surprise, it was Tick-Tock Croc. Isn’t that crocodile always right there, waiting to take a bite out of Captain Hook? It reminded me of temptation. It seems that we all have that one vicious temptation that seems to always be there, just waiting to attack. But what does Captain Hook do? Well, first he flees. I’m reminded of 2 Tim. 2:22 that tells us to flee youthful lusts and pursue righteousness, faith, love, and peace with those who call on the Lord out of a pure heart. Next, after the Captain gets away, he just keeps on going about his swashbuckling business. We can’t live in such fear of our temptations that we hide away and stop living our lives. We have to keep moving. 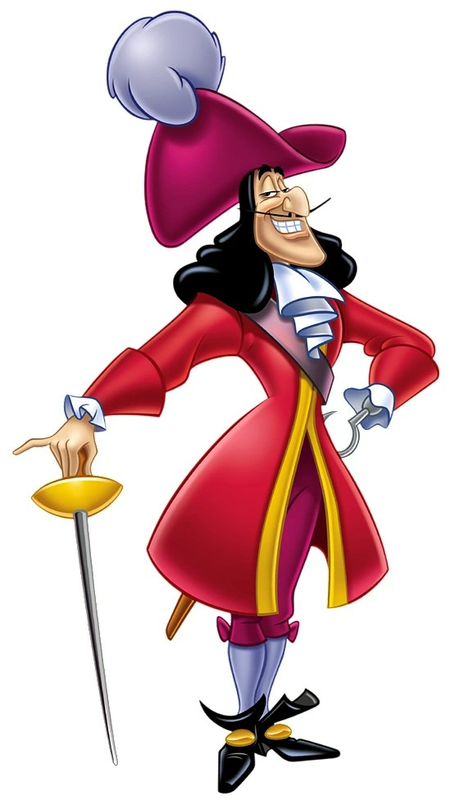 Just as Captain Hook has a job to do, so do we. We have been commissioned by Jesus to go into all the world preaching, teaching, and baptizing in the name of the Father and of the Son and of the Holy Spirit. One more observation: that crocodile was underneath him. Romans 16:19-20 implores and reassures us, saying, “I want you to be wise in what is good, and simple concerning evil. And the God of peace will crush Satan under your feet shortly.” Sin and temptation have no authority over us. So, our lessons from Captain Hook today: flee, don’t give up, continue to learn God’s wisdom, and remember that God has already won the victory!